UNTIL FURTHER NOTICE ALL HORSES/PONIES ATTENDING BEAUFORT HUNT PONY CLUB EVENTS MUST HAVE BEEN VACCINATED AGAINST EQUINE FLU WITHIN THE LAST 6 MONTHS. PASSPORTS WILL BE CHECKED ON ARRIVAL – PLEASE DO NOT UNLOAD UNTIL THIS HAS BEEN DONE. 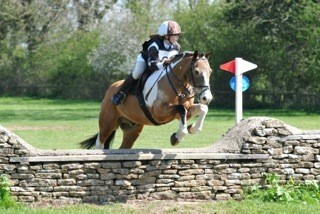 Beaufort Hunt Pony Club One Day Event. Open to Pony Club Members Only. Entries close Wednesday 10th April or sooner if full. Times will be one the Beaufort Hunt Pony Club Website http://branches.pcuk.org/beaufort and www.horse-events.co.uk from 5pm Monday 15th April. The course will be open for walking from 2pm Tuesday 16th April. Rosettes to 10th place for Individuals and 6th place for Teams. Please provide your own number bib, paper inserts will be supplied. Teams must be declared by the Team Manager by emailing info@horse-events.co.uk by 5pm Wednesday 16th April. Only 2 teams per Branch in each class. Class 1: Dressage may be ridden in a normal riding bit. Class 2: Dressage must be ridden in a snaffle bit as per PC Eventing Rule Book 2019. This event is being organised by Beaufort Hunt Pony Club. Equine Bookings is acting as the booking agent for this event, enabling you to book online, for which you will be charged a booking fee per space which will be added to your cart. As booking agents, we accept no responsibility for the actual provision of any event for which you purchase event tickets for. Our responsibilities are limited to providing the online platform to enable you to purchase tickets. The booking fee is the separate non-refundable charge we make to you for facilitating the booking. Your contract is held with the Promoter/event organiser. We only share your data with that of the third party organiser of the specific event you entered. We do not share your data with third parties for marketing purposes. The Organisers of the events published on the Horse Events website have all agreed to the following statement before we published the event and give them access to your data for the purpose of entering their event. Home to the Beaufort Hunt Pony Club ODE every year, an inviting course with lots of interesting fences. New XC courses for 2017. Bold but fair and flowing with predominantly natural fences as well as some portables. An ideal early season event. This competition will be run in accordance with the Pony Club Eventing Rules 2019. Eligibility rules for Area Qualifiers do not apply. amend or cancel any part of the competition, or refuse entry without stating a reason. occurring and must obey the instructions of the organisers and all the officials and stewards. 7. HATS meeting current Pony Club standards MUST be worn at all times when mounted. Rule book) are recommended for Show Jumping and are compulsory for Cross Country. oversubscription riders may only be allowed to ride one pony. minutes before their dressage time. with the permission of the Show Jumping Officials. 14. There will not be a farrier on site. 1. Are you a member of the Beaufort Hunt Pony Club? Pick the class or classes you wish to add and enter the number of tickets required. N.B. If adding for mutliple member types add all tickets of one member type first then click the 'Save & Add Another Class' button and enter all tickets required for other member type. If you are a Beaufort PC Member is this your first time at Shipton Moyne ODE?